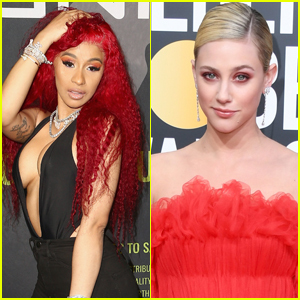 Lili Reinhart’s Betty Cooper is the ‘Queen of Fixing Cars’ on ‘Riverdale’ | Cole Sprouse, Lili Reinhart, Riverdale | Just Jared Jr. It looks like we will see mechanic Betty Cooper on Riverdale after all! Archie Comics revealed another pic from season two today with Cole Sprouse and Lili Reinhart in their jeans inside a garage together. “Whether it’s in the comics or on #Riverdale, Betty Cooper is the queen of fixing cars,” the account shared — and yes, we are so ready for it! 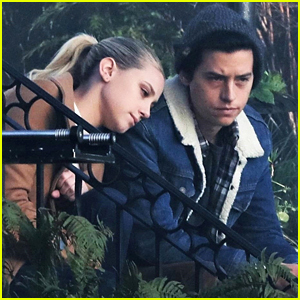 In the first pic, we were under the impression that Jughead is showing Betty the ropes around the garage — and we’re really hoping that that’s still true, but more so, that she outshines him in fixing cars, and everything else.